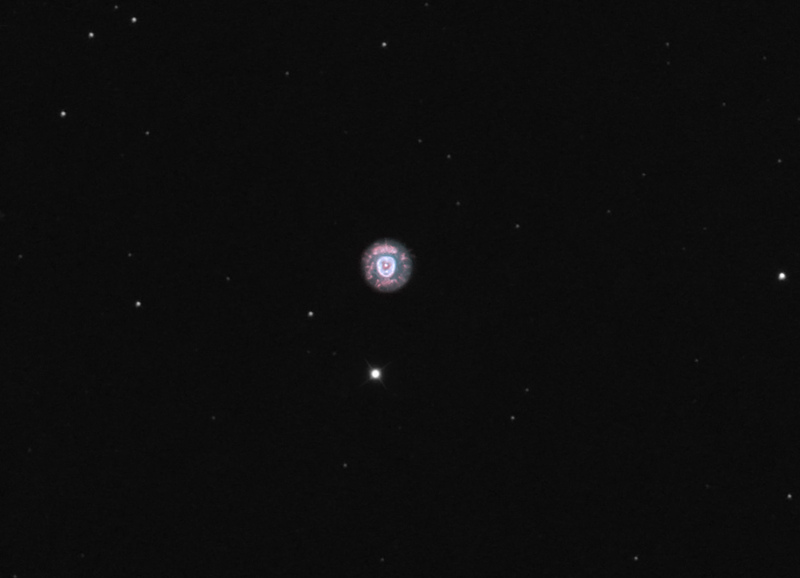 This is a short image of the Eskimo Nebula, a planetary nebula also known as the Clown Face Nebula near Gemini. Only 5 x 2min images were taken with the two narrowband filters to avoid saturatoin of the core (face). The teal (blue-green) color from OIII mixes with the red H-a emission to produce magenta hues (red + blue) throughout. North is up. This is a cropped version is about 11′ wide. The full moon was nearby so RGB for star color was not taken.